Cinema Kosmos in Tallinn was opened on 10th march 1964 as the largest film theatre in the Baltics.There was one hall with 1015 seats, and the area of the screen reached 240 square meters. In 1997 the Kosmos cinema was entered in the register of protected landmarked buildings. In December 2014, the Kosmos cinema reclaimed its title of the most advanced screening hall in the Baltic States. During the renovation for the construction of the new screen with the area of 300 square meters, the building was extended by one storey into the ground. Nowadays Kosmos IMAX has three screening halls. The largest, accommodating 322 viewers, is called IMAX after the technology in use. Apart from the IMAX hall, there are two smaller screening halls – LEM and KUBRICK , with 49 seats each. Regular 2D and 3D movies are shown in the smaller halls. 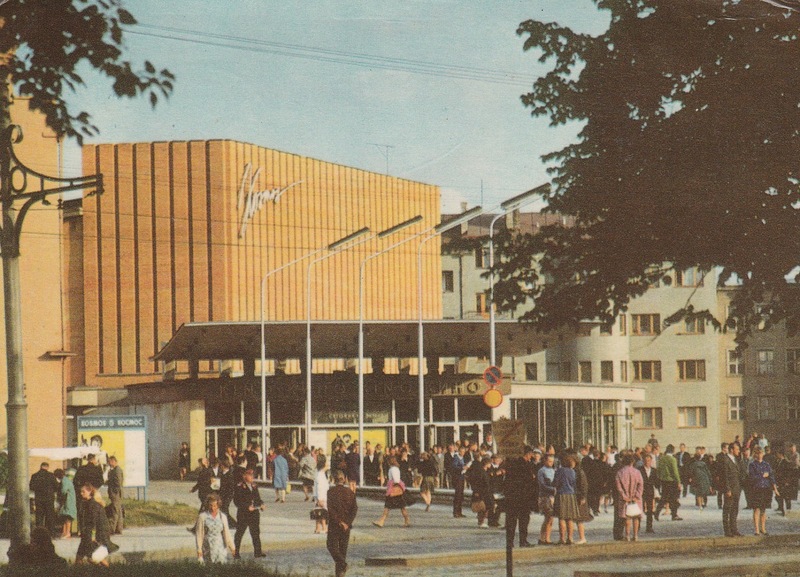 The postcard is from 1971. It is remarkably, there is written the name of the architect on it: I. (Ilmar) Laasi.